Everyone reacts differently to having a scar. Some people simply accept having a scar as part of their appearance while others work to find ways to treat or remove it. One thing everyone should realize is that there is no reason to be embarrassed about having a scar. 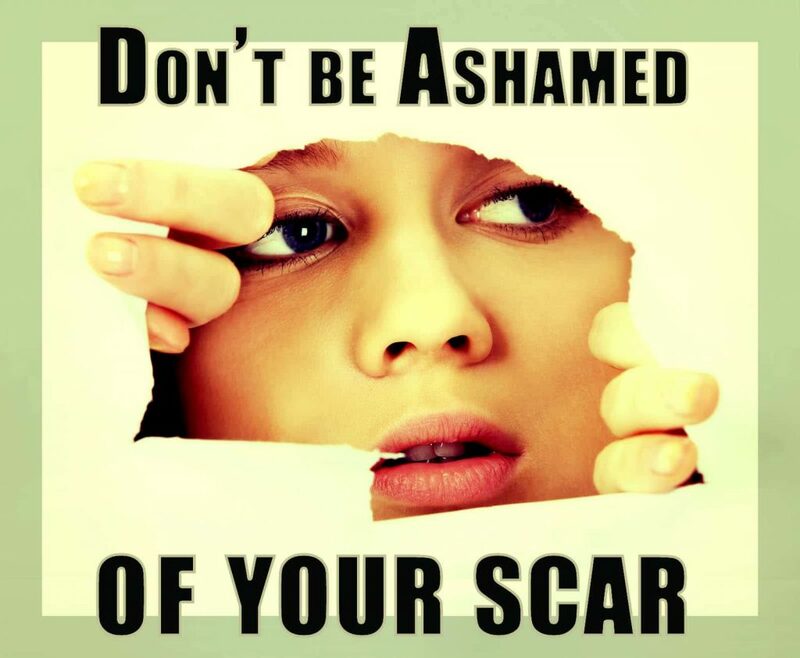 The current hit song, “Scars To Your Beautiful,” addresses this very issue. Scars interest others and leave them wanting to know more about you. They are a daily reminder of your journey in life. The scar can be from an accident or even a birth mark scar you’ve had your entire life. Look at the scar as a way that your body shares your history with others. Scars can raise awareness for a number of issues and causes. In fact, scars that are related to an illness can often give others the encouragement they need as they battle the same disease. Many scars tend to fade and change color as they heal. The appearance of your scar shows others how long you’ve had it as well as how far you’ve come in life since the scar first appeared. While you might not like to discuss the reason you have a scar, some people just can’t help asking questions about it. Talking about your scar can help others learn more about certain diseases or situations and even make them more open-minded. Scars can add character to your body as well as your personality. They make you just a little bit different than others and help you stand out in a crowd. Embrace your unique status and show others that you are someone to be noticed. Scars and scar formation are some of the most commonly misunderstood medical concepts. If a person undergoes surgery, for cosmetic reasons or otherwise, having a scar is one of the things they should expect. Most patients assume if the operation was performed by a plastic surgeon, there won’t be any scarring. Scars always form but some surgeons are better than others at hiding them. Scarring is the body’s way of healing itself after an injury. In fact, it is the final phase of the body’s wound healing process. A scar is a direct result of damage from accidents, burns, skin conditions, surgery and trauma. Something as simple as having piercings in your body can cause scars to form. The body’s wound healing process comes in multiple stages. The first phase involves the sealing of the wound by blood clots to prevent further blood loss and infection. This is followed by a series of events that lead to the formation of collagen to actually repair and fully heal the wound. Wounds that are left to heal on their own produce scars that are a bit worse than those which are closed through stitches. It can take at least a year for a scar to completely heal. Once healed, a scar may appear as a fine line that is minimally visible or as a thick scar like hypertrophic scars and keloids. Scars are treated using various methods. The choice of treatment depends on how thick and big the scar is. Small and soft scars are best managed by massaging them with moisturizer once or twice a day for a few minutes. The moisturizer should contain ingredients like vitamin E and cocoa butter for maximum results. Sun exposure must also be avoided as much as possible to keep the scars from turning dark. On the other hand, thicker and more extensive scars such as hypertrophic scars, keloids and burn scars can heal properly by using silicone gel sheets. In recent years, steroids have also been prescribed as a treatment for scaring. Topical steroids alone, or in combination with other scar treatment products, have been proven to improve scar formation in some patients. Steroids administered through injections are said to be effective on hypertrophic scars and keloids. A series of injections is required when using steroids in intervals ranging from six to eight weeks. The most common side effect of injected steroids is the formation of a dent on the site where it is administered. Steroids may be combined with surgical excision especially in cases involving keloids. This combination treatment is usually effective although there is still a possibility for recurrence. If the treatments listed above fail to produce any response, the patient may try a less common treatment option like radiation therapy. Stubborn keloids respond well to low-dose radiation following surgical treatment. Radiation therapy does raise some concerns due to the risk of long-term complications. Laser treatment is another option but the results vary and some patients find using lasers to be an ineffective treatment. Scarring should be expected by a patient no matter what type of plastic surgery procedure they are having performed. The key to effectively managing the lasting effects of a scar is knowing how to treat and minimize the long-term effects of any scar formations. Scars are made up of the protein collagen which is found in the second layer of your skin. When the integrity of the skin is compromised through injury beyond a superficial this layer must repair itself. It is in the body’s only healing process that scarring takes place. The key to preventing scars is to break up the collagen that collects in the dermal tissue during the healing process. When the collagen does not bond to your skin’s top layer scar formation is reduced. It is possible to lighten and revision an old scar, your best approach is to limit scars before they form. DON’T Use Hydrogen Peroxide: While the solution cleans, it also destroys new skin cells that immediately begin to grow in the wound. This slows down the healing process and increased the risk of scars forming. DON’T Treat with Vitamin E. Recent studies show that it, like hydrogen peroxide, vitamin E impairs healing. One-third of people will also develop an allergic reaction to vitamin E.
DON’T Expose To Sun: Ultraviolet rays slow the healing process and can discolor the scar. The sun stimulates the cells that produce pigment, and when your skin is sensitive and healing, it’s prone to discoloration. Cover the wounded skin with a minimum SPF blocker of higher than 15. DO Cover A Cut: Should a cut “breathe,” or does it require a Band-Aid over it? When you don’t cover a cut, it dries out and scabs over. Scabbing is not a good thing; it only presents a barrier to healing. Treating cuts with Neosporin (or another antibiotic cream) and covering with a band-aid for a week in aids the healing and prevents infections and minor skin wounds. Do this until new skin begins to grow. DO Place Pressure On Cut:Use special pads that serve to flatten scars. These scars don’t allow the collagen to pop up above the skin when a wound is healing. Some examples of these pads are: Curad Scar Therapy Cosmetic Pads, ReJuveness Pure Silicone Sheeting, Scar Fx and Sypres Scar Sheets. DO Massage The Wound: Once new skin has grown, massage the mark. Massaging helps break down the dense bonds of collagen. If they are not allowed to take hold, the appearance of the scar will be much less noticeable, or may not form at all. Massage – with lotion – in a circular motion for 15 to 30 seconds a few times a day. All surgeries are going to leave a scar. The leading cosmetic surgeons who specialize in breast augmentation are good at reducing the visibility of the scar. The very best surgeons make sure only very close scrutiny reveal the signature of their work. The techniques for revising scars very and are applied as the surgeon deems best for the patient and their particular case. Often women undergo more than one breast implant surgery. If a woman has suffered from a poor elective procedure the top cosmetic doctors can redo the surgery and also revise the scarring in the same procedure. Do breast implants last a lifetime? Women considering breast augmentation ask this question frequently. Breast implants are not made with an expiration date, so you should be able to enjoy the results for many years. However, unexpected issues occur for a certain number of patients. If you think you’re experiencing a problem with your breast implants, call us to schedule a consultation and Dr. Hess will see you as soon as possible. 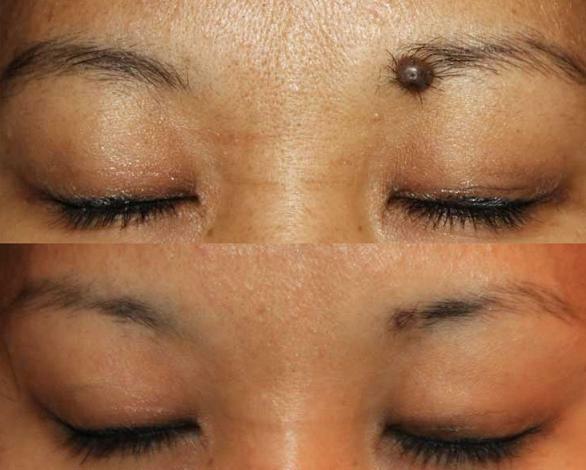 Cosmetic procedures involve the placement of scars in inconspicuous areas heal with minimal scarring. Any time an incision is made, a scar will result. Unfortunately, the thickness and the texture of the scar is only partially related to the skill of the surgeon and the procedure itself. In no case will scar revision surgery eliminate a scar completely. In nearly all cases, it will minimize the scar. In very rare cases, the scar could be made worse. This is a risk that a patient needs to accept. The doctor’s knowledge of your healing history is critical to making the most educated decision for the benefit of the patient. In developed countries risk in surgery has greatly been diminished. However, a person considering elective scar revision surgery as with any surgery should discuss risks with their surgeon. Here is a partial list a person can ask their doctor about. Take the time to ask questions!. It’s natural to feel some anxiety, whether it’s excitement for your anticipated new look or a bit of preoperative stress. 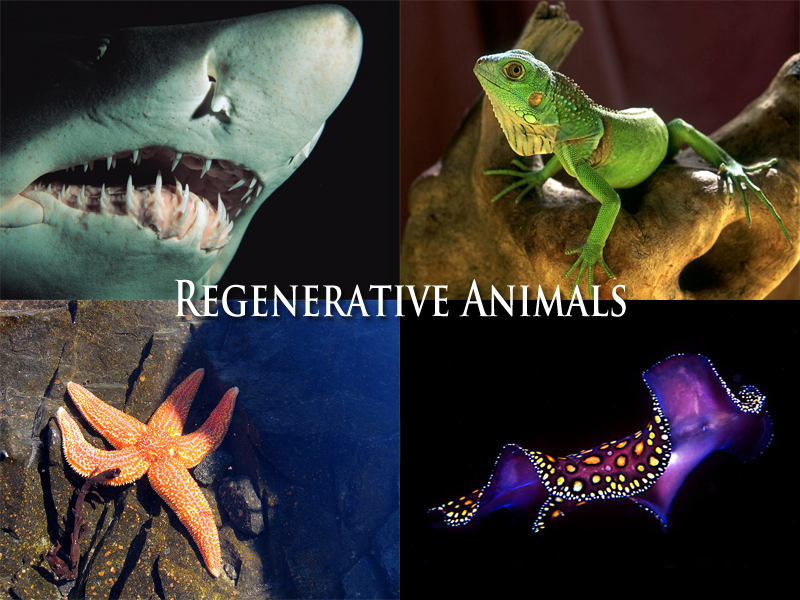 Scars are the result of our natural biological process of wound healing. This repairing takes place in the skin and in other body tissues. The external scars of the skin most often comes to mind even though injured internal parts of the body can heal with scar tissue. Often a doctor can diagnose a condition based on some internal scarring of an organ such as the liver, lungs or kidneys. lizards can regrow a tail within nine months. cut into pieces, each one can become a new sea cucumber. 24,000 teeth in a lifetime. •	Spiders can regrow missing legs or parts of legs. regrow and combine exactly as before. animal can grow from a single lost arm. As mammals, humans just aren’t that fortunate. Scars are part of our existence for better or worse. pronounced alignment in a single direction. leads to loss of muscular power and possibly heart failure.